70004 with 4O70 09:56 Wentloog - Maritime passes 66140 on the shed exit road at Eastleigh, 29th January. 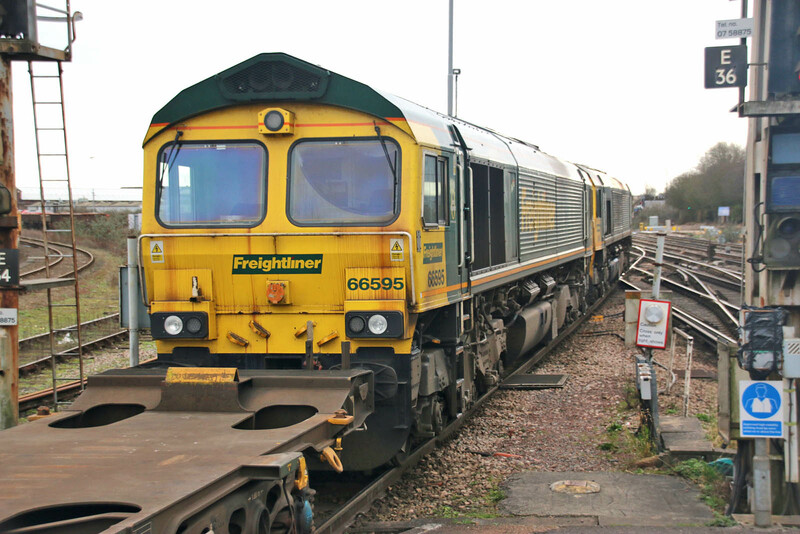 Wednesday 31st January: 66250 entered Eastleigh Works (to be 66789) one. This will be painted after 66238 but before 66058. 70002 (one) is being reinstated, but 70007 (one two) has been placed into storage at Leeds. 37025 returned to Derby one, and is now resting at Barrow Hill. Watching 66595 - which may be heading to Poland. 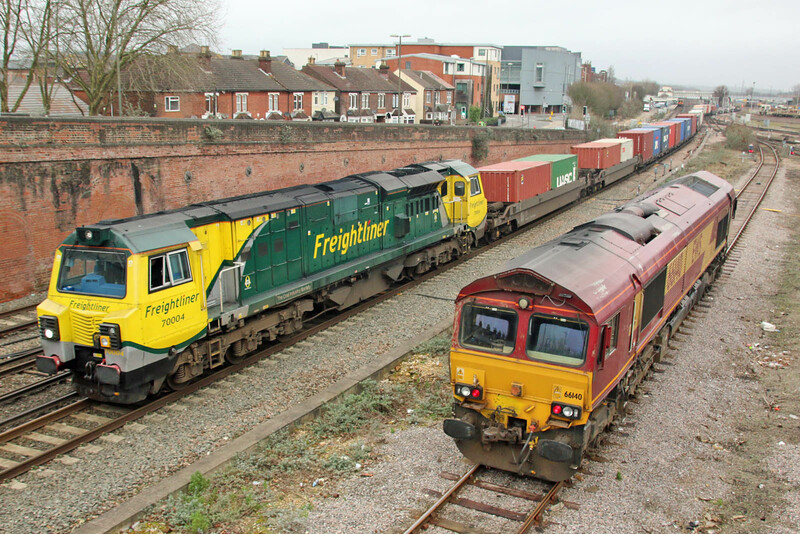 Monday, at Eastleigh, in consist of 4O14 0558 BasfordHall-Maritime behind 66543.